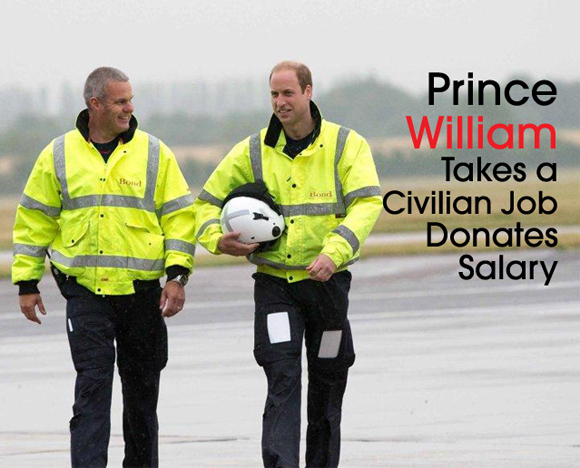 The royal pilot is making history by working as a civilian – and by giving away his earnings to charity. Prince William started his new job as an East Anglian Air Ambulance pilot on Monday, working four days on, four days off, so he can balance work, family and royal obligations. The second-in-line to Britain’s throne will donate his post-tax salary – estimated at about £30,155 per year – to a yet undisclosed charity. 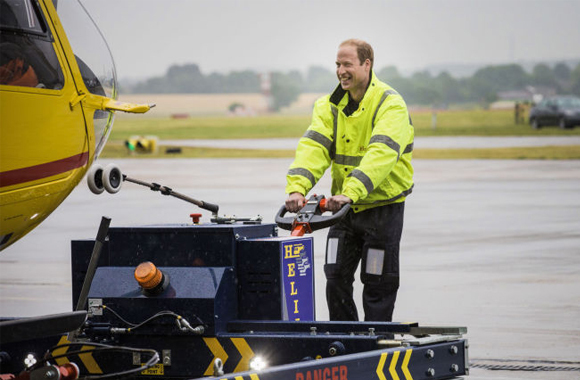 The prince says his new position as a medical emergency helicopter pilot is a natural progression from his service as a Royal Air Force search-and-rescue pilot. According to Kensington Palace, the 33-year-old father of two is the first member of the Royal Family in direct succession to the throne to take a civilian job.